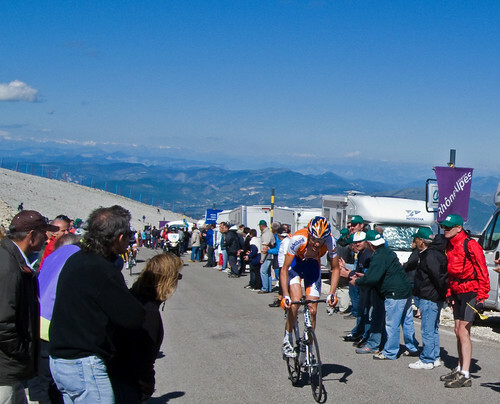 A fun day watching the Dauphiné Libéré near the top of Mont ventoux. I have cycled this road a few times before, and it doesn’t seem any easier now. Steep, windy, and relentless. 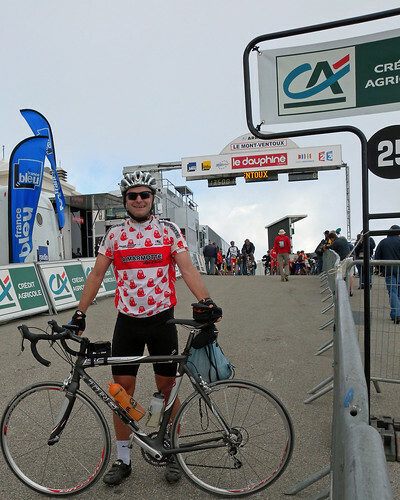 Still, it’s always fun to cycle a big climb on a race day. People were parked and picnicking along the entire route – so cyclists (of all shapes and speeds – and disproportionately Belgium and Dutch) received lots of friendly support. I think I looked pretty awful as 3 times I was offered a glass of wine. Strangely I turned down all the offers. 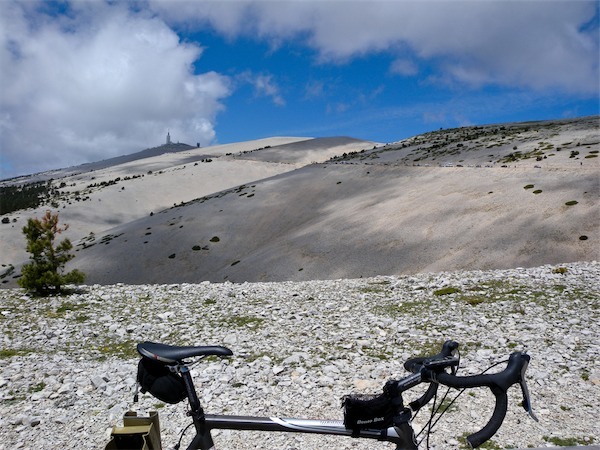 Ventoux means windy, and it was seriously windy and as I made it up to Chalet Reynard where the forest disappears the gusts were occasionally slightly concerning . 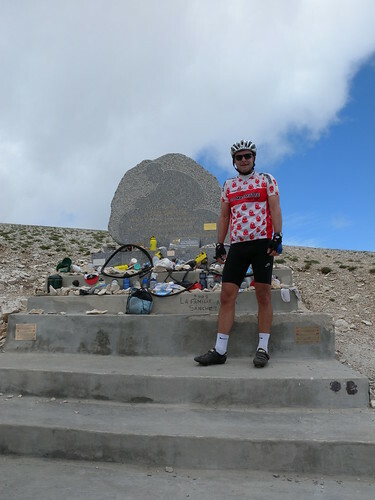 After cycling to the top, I settled just below the last hairpin about 250 metres from finish. This gave me pretty sweet views below, as well as a straight stretch of road as they approached. A guy on the loud-speaker kept us informed of the break aways and positions of riders, so we knew what to expect as the helicopters and riders appeared. The race was pretty exciting. Valverde had broken away and was threatening (and ultimately succeeded) in taking the over all race lead from Cadel Evans. I actually thought Valverde won the race, but he was passed on the last turn just past us – apparently “gifting” the stage to the Polish rider Smzyd. Due to the crowds and campers, I was worried about the descent. 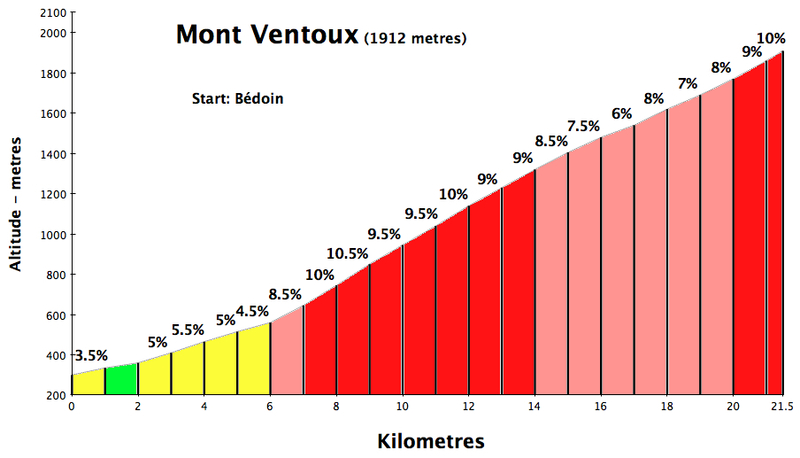 And I almost crashed from the strong wind passing the Col des Tempetes (Storm Pass) a couple of kilometres from the summit. Yikes – I would walk this stretch next time if it is this windy! 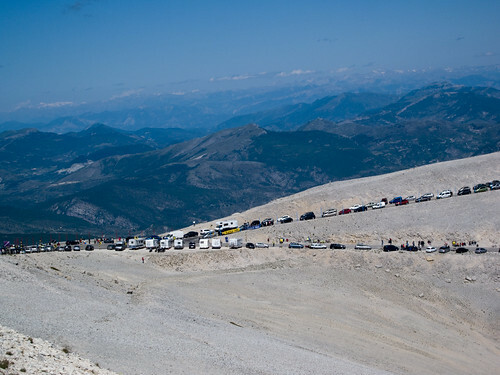 But the Gendarmes had blocked all cars from descending so I got a car free descent for most of the way – I assume this was for the benefit of cyclists and to avoid an accident as I am pretty sure the pro teams descended down the back side. All in all, a very fun day. Glad you managed a safe descent despite the unexpected strong wind. 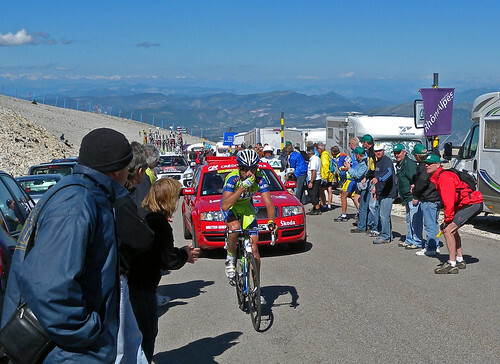 Great picture of Cadel and Contador. Interesting to see that Cadel looks way more at ease than Contador. 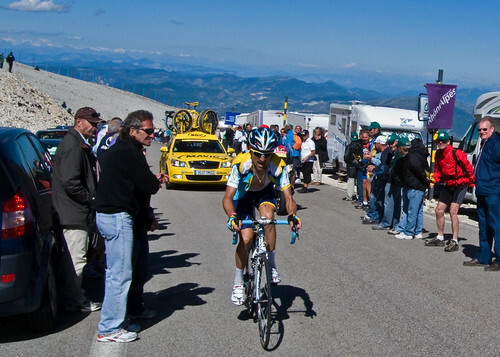 Maybe justed the moment of the picture, but promising for a great TdF July. Will, Your blog/website is pure inspiration. 8 months after my second knee surgury(in one year) I am ready for my delayed kick at the cat. 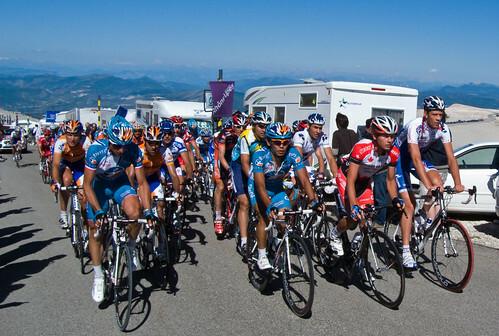 Doin’ the RGA (Menton to Thonon) with terradiversions from barcelona in July and watching the tour from our Hotel in Saises on July 22. 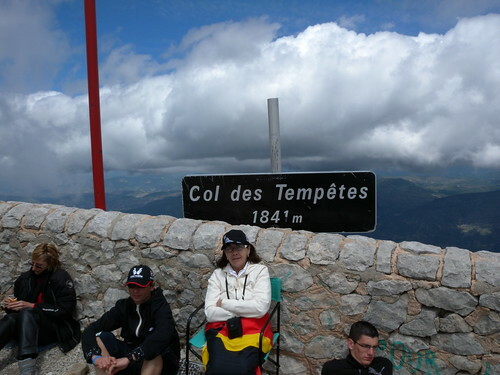 I loved your Pyrenees trip, but i’m a bit sick of living vicariously through a fellow T-Lea man. Wife Maggie and I are still trying to figure out how we will spend our spare week in Europe (July24-A3) She wants the picos-de europa, while I favor the pyrenees. Or I may be hospitalized. (insert joke) Cheers Eh! Sorry to hear about the knee. 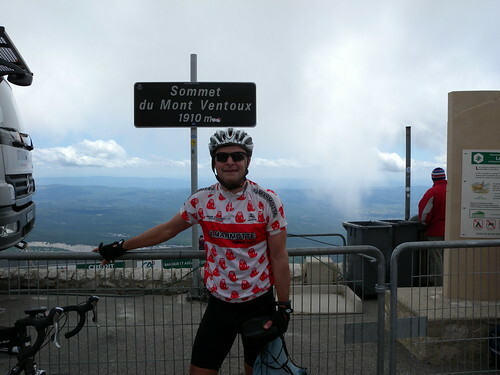 Glad to hear you are recovering and ready to try the Alps again.